You know those types of players who are undoubtedly talented but just aren’t able to consistently produce? Maybe they have injury problems or they don’t get enough starts to find their form or they move from club to club or so many other reasons. Well that seems to be the kind of player Milan have been shopping for lately, and it is exactly the type of player that Jérémy Ménez is. In his career, he’s shown plenty of brilliance, but has struggled to string together two consistent seasons. However with all of the talent and plenty of desire, I think Milan management are taking a gamble on him being a big part of our French Revolution. Ménez was born in the suburbs of Paris, France, and played at three different youth academies before landing at Sochaux at the age of 13, where he played for four years. In 2004, two months before his 17th birthday, he signed his first professional contract with Sochaux’s first team. He debuted later that year, giving him the distinction of becoming the youngest to play in Ligue 1 at that time. 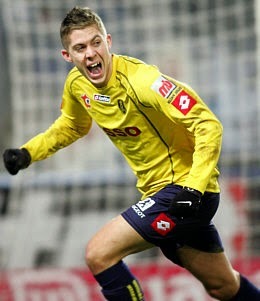 In his two years with Sochaux, he made 55 appearances and scored 7 goals. He was also nominated and narrowly missed winning the French Young Player of the Year award, which went to Jérémy Toulalon instead, who is actually 3 and a half years older than Ménez. From Sochaux, he went to Monaco, where he was given the number 10 jersey and played on the left wing. However with coaching changes and a couple of injuries, he struggled to maintain form and playing time. Still, he managed 57 appearances, 14 goals, and 5 assists for the club over the two years he was there. It is also of note that even before he signed with Sochaux, he was being courted by EPL teams like Manchester United, and Liverpool also showed interest in addition to Manchester United during his time at Sochaux. But to his credit, he always turned down the EPL clubs. His next club was Roma, where most of us learned to hate him. And we weren’t alone. Much of his time at the club was spent not getting playing time or being accused of being lazy. Most notably, he spoke out about his lack of playing time under Montella and then in April of 2011 reportedly got in an altercation with the manager during training , who had been yelling at him for his lack of commitment. 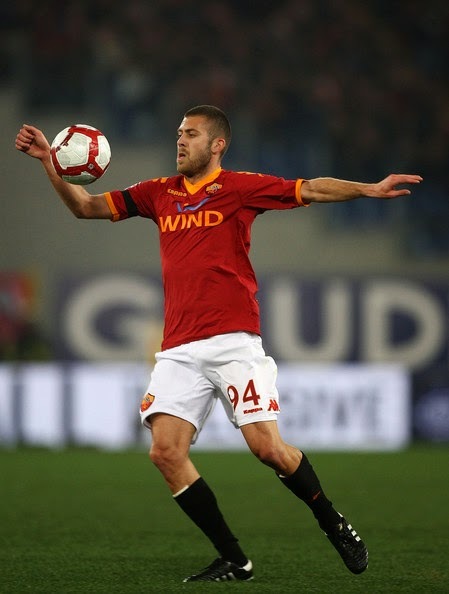 During his three years with the Giallorossi, he made 84 appearances scored 7 goals, and had 10 assists. After his Italian adventure, he went home to France and was signed by PSG. There he was more prolific, scoring seven goals and 13 assists in the 2011-12 season in 40 appearances in all competitions for PSG. The following year, he scored 8 goals and had 10 assists in 43 appearances in all competitions. Despite developing a good understanding with former Milan player Zlatan Ibrahimovic, last year he was used less in Ligue 1 and seemed to be reserved for Champions League and Cup matches. In all, he made 27 appearances, mostly subs, and only scored 2 goals and made 2 assists, while PSG won Ligue 1 the past two seasons and also won the French Cup last season. It is notable that he was also allowed to leave PSG on a free transfer. 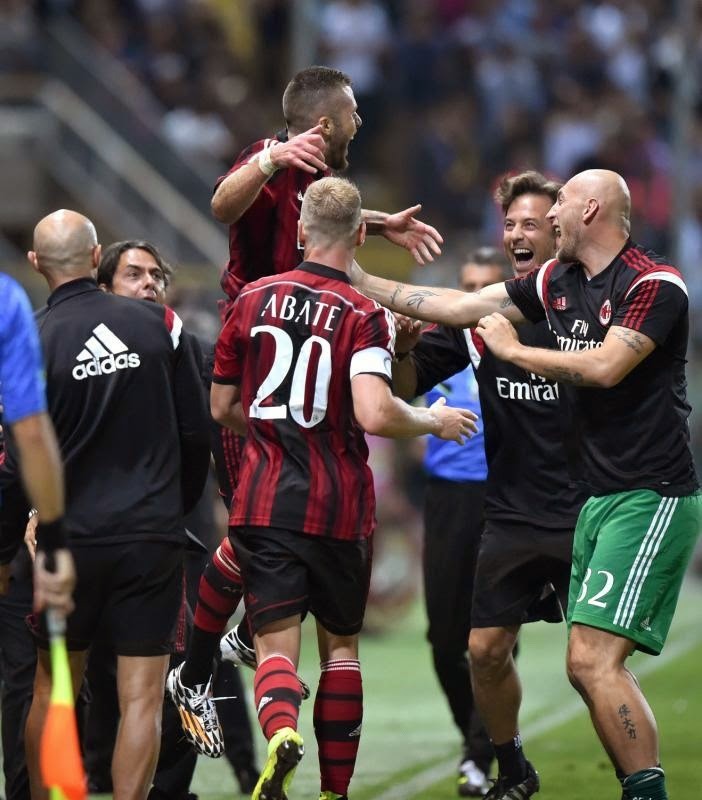 His not-so-secret meeting with his agent and Inzaghi prior to signing for Milan stirred up a emotions in Milan fans. Which Ménez would be coming our way? The lazy, oft-fouling Roma version we all knew so well, or the more prolific early PSG one? At 27 years old, he could become a real asset to the club, or he could be like his fellow countryman and Milan defender, Mexès, being paid far too much and doing far too little. Inzaghi vouched for his professionalism and desire, and we as fans didn’t really have any choice in the matter after all, did we? But it wasn’t long before he dazzled us with his ball handling skills, his speed, and his ability to score fantastic goals. He can play as a false 9, on the left wing, or behind the striker. He likes to move around a lot, causing a lot of trouble for defenders, and can shoot with either foot, too. Perhaps his greatest asset is a bit “furbo,” as he draws fouls and dives in a way that makes Neymar look like an amateur. His “embellishments” have won him numerous fouls and cards called against him thus far, without a single call for diving. An interesting, but admittedly useful talent in his already extraordinary arsenal of talents. And let’s not trivialize his ability here, the man takes a beating and gets right up without complaint. His first 2 years in the red, white and blue were his best, but last season people "lost faith in him"
Hopefully, however, most Milan fans will know of him for having scored 3 goals in 6 starts so far, including a spectacular backheel vs. Parma that some have speculated “is up there with the best goals of the Berlusconi era.” And of course, now he is injured, having played in every match thus far. But it remains to be seen whether these moments of brilliance will continue or if he will simply add Milan to his list of clubs where he failed to be consistent. And also if he can break back into the French national team. Having represented France at every level since U16, he has fallen out of favor with Deschamps and not been called up in the past year. So for Ménez, Milan could be his make or break club. He’s got a three year deal, and at age 27 could become a formidable force in attack or a washed-up has-been, perhaps only in a single season. From what we have seen so far, he plans to become the former, which would only endear him to Milan fans more. Certainly, alongside fellow countrymen M’Baye Niang, Adil Rami, and the aforementioned Philippe Mexès, Milan are looking for him to be that formidable force and also a force for change in their growing French Revolution.